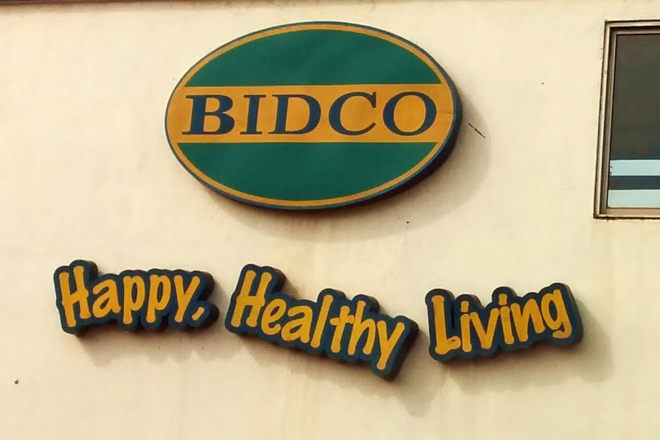 Sign on the gate of the BIDCO factory. 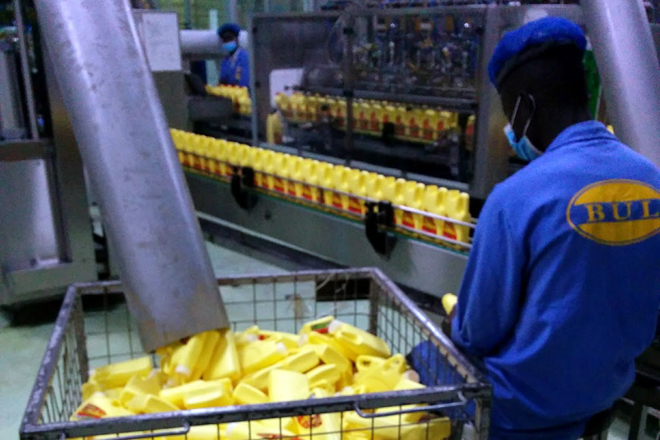 The annual outputs of Uganda’s BIDCO factory are incredible: 120,000 metric tons of vitamin-fortified fat and oil products per year. If you do the math, that equates to roughly 8,746,355,685 tablespoons of cooking oil per year.1 Think of all the people starting off their meal preparation with a spoonful of oil. 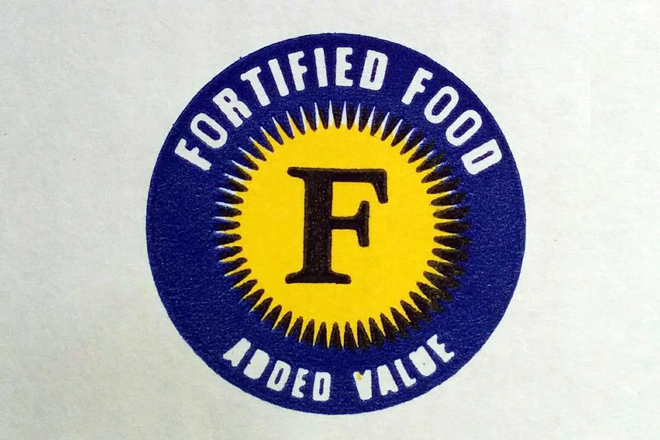 Thanks to the fortification process, all of them receive a critical nutrient—Vitamin A—that might be largely absent from their normal diets. 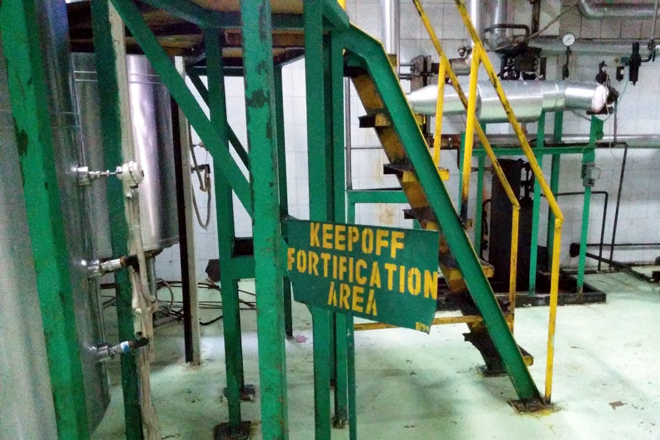 But fortification doesn’t happen on its own. 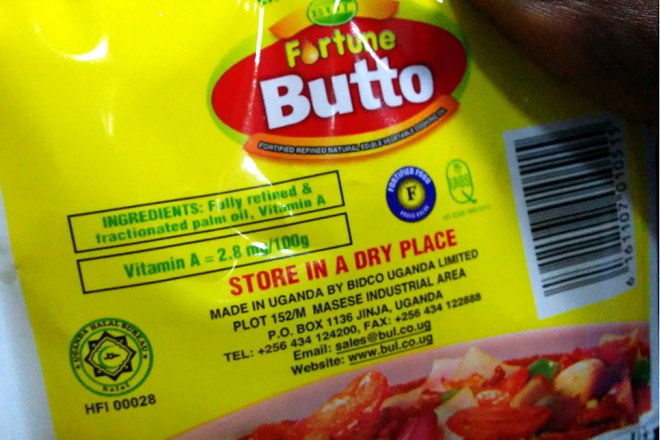 To make a contribution in this area, the USAID-funded SPRING project facilitates Uganda’s Ministry of Health-hosted National Working Group on Food Fortification (NWGFF) and supports the Uganda National Bureau of Standards (UNBS), which assists BIDCO and other companies in meeting national fortification standards. 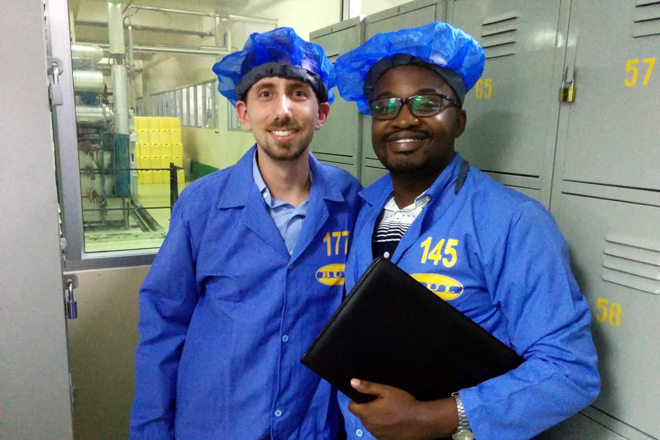 This past January, I visited the BIDCO factory with two colleagues from the SPRING/Uganda office for a first-hand look at how SPRING’s upstream work with the fortification industry helps to produce more nutritious foods for millions of East Africans. 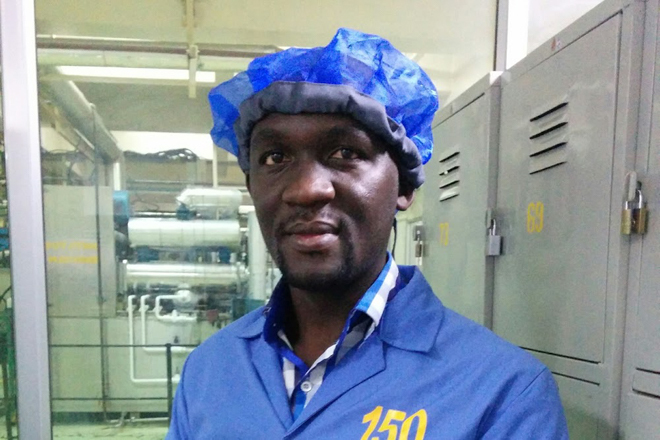 As we approached the factory, the scent of hay and caramel filled the air. 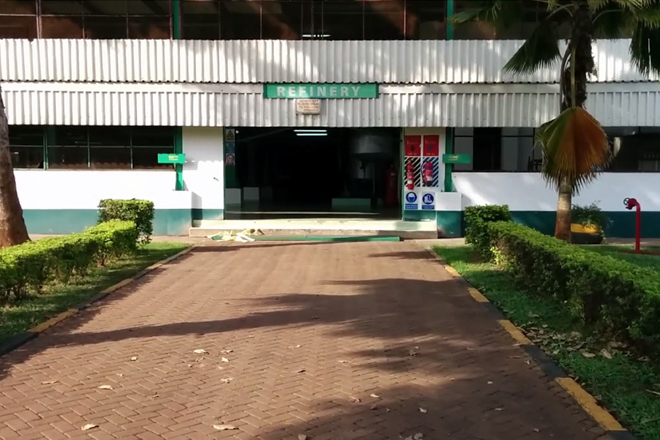 Sounds of engines and whirring machines reverberated around the vast lot. 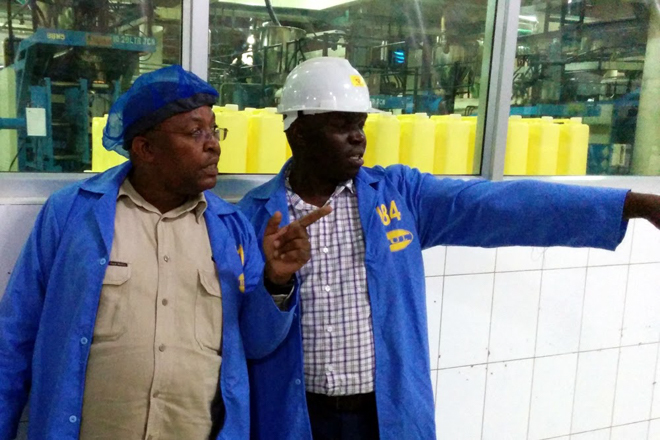 Levi Jean Kabatabarukye, the Quality Control Manager at BIDCO who also sits on the NWGFF, led us along a path into the factory to see where the fortification happens. 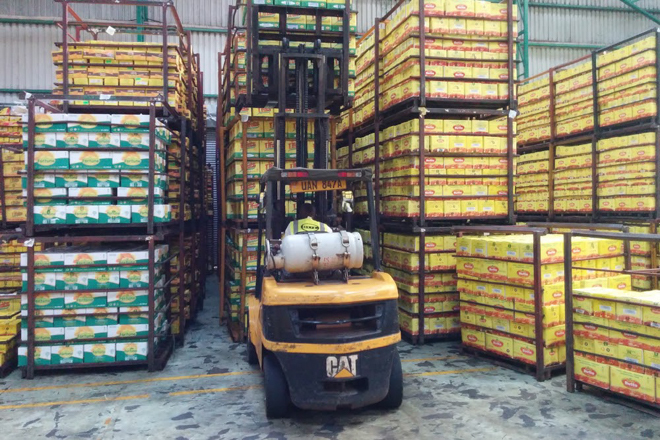 Dodging out of the way of forklifts, we walked past tall rows of boxes toward the fortification area. Giant vats rose into view as we turned the corner. 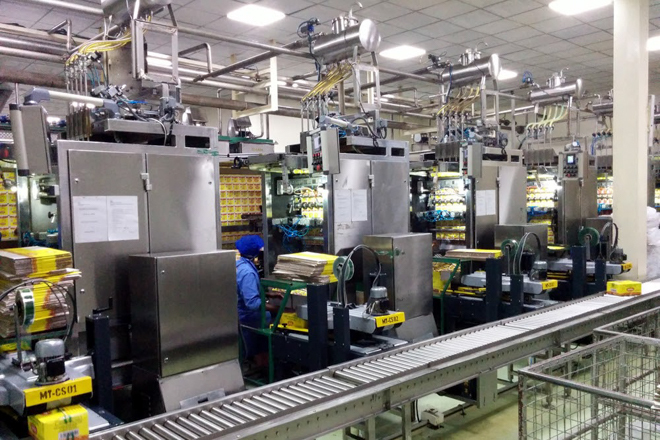 Inside these vats, Vitamin A (itself an oil) is added and mixed with cooking fats and oils before it is piped away to be packaged. We followed that path, stopping first in a locker room to don overalls and hairnets. 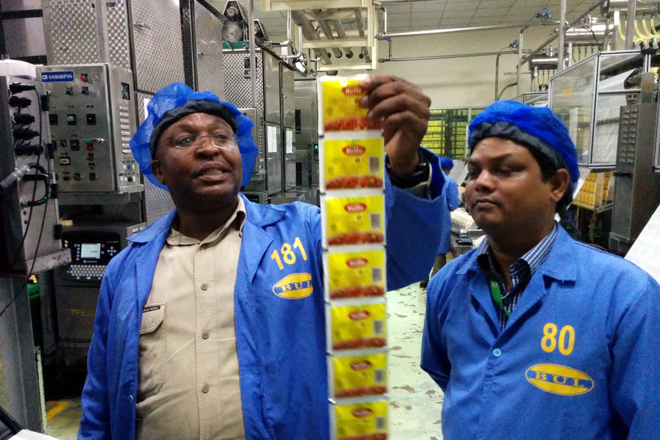 In the packaging area, Levi showed us the brands BIDCO produces and the various package sizes it distributes. 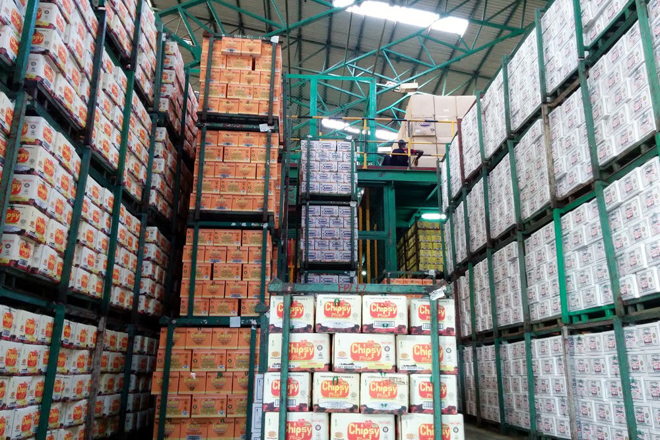 BIDCO’s products are tailored for the needs of specific types of customers: from the 5L bottles serving the restaurant industry to the 25mL sachets for low-income families. 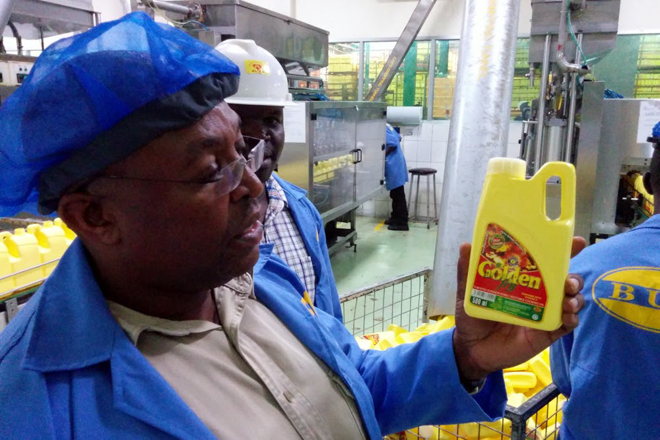 As he explained later, BIDCO’s goal is to provide fortified fats and oils to everyone, not just to the well-off. 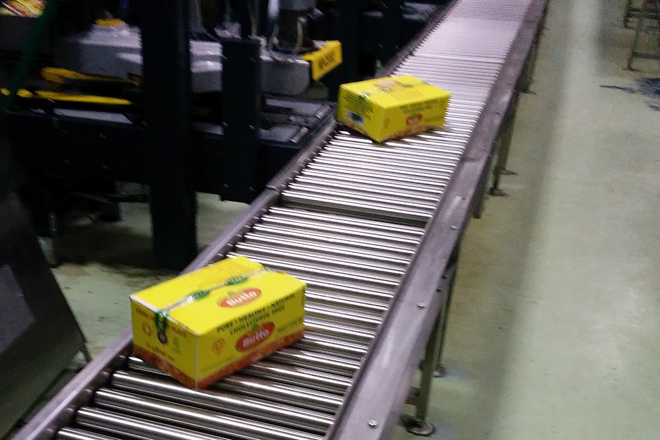 BIDCO’s emphasis on manufacturing food for every income level gets to the heart of industrial fortification in Uganda. 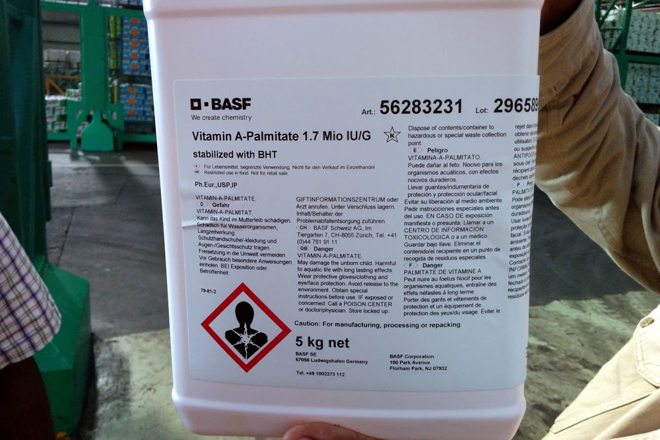 Everyone needs Vitamin A, which contributes to better vision, immunity, and growth. 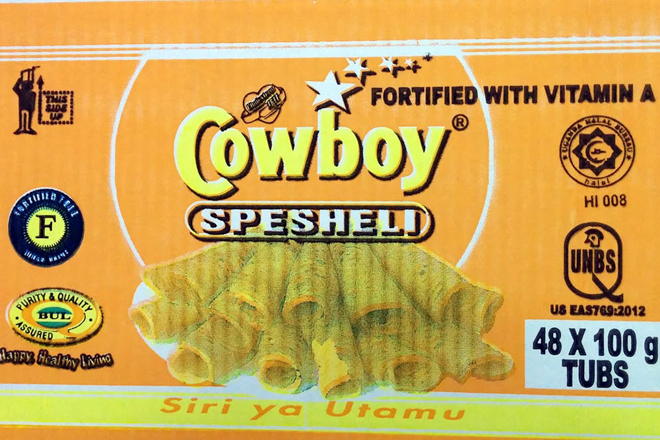 Some people—particularly those living on a higher income—will consume sufficient amounts of this vitamin through their normal diet; others may not. 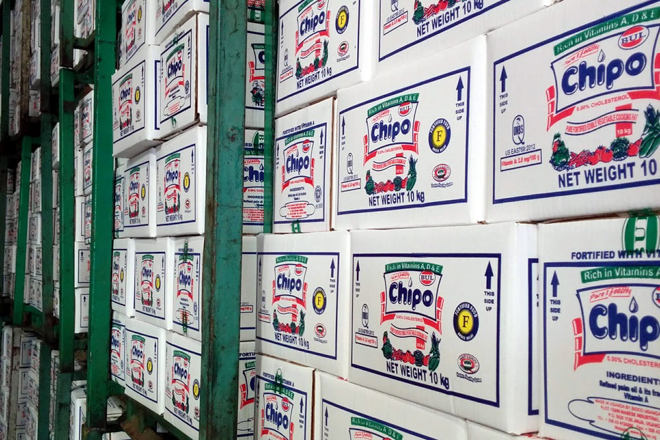 High levels of vitamin deficiency mean a less-healthy population and an urgent priority for the government. 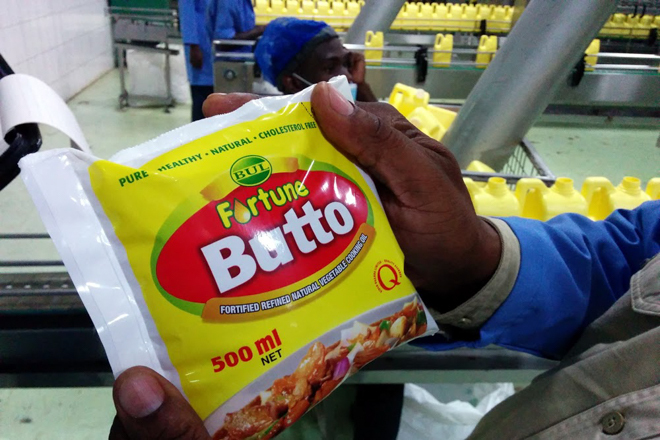 Individuals can take vitamin supplements, such as micronutrient powders, but if the government wants to ensure that everyone receives a sufficient amount of essential nutrients, industrial food fortification is a cost-effective, population-level intervention. 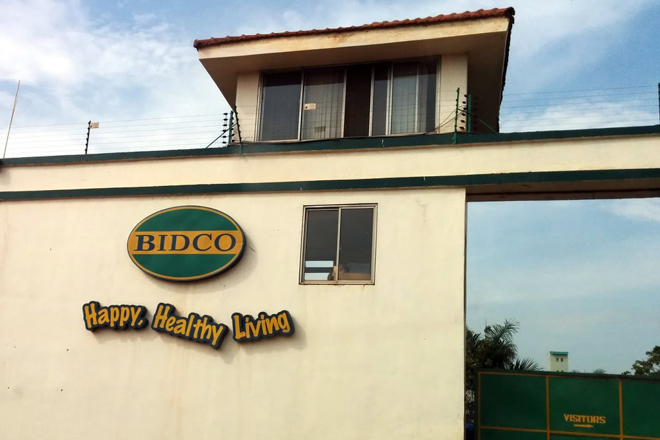 The tour continued to a different building, where BIDCO tests its products. At the top of several flights of stairs, we entered a glass-walled room. Levi showed us a spectrophotometer and other machines used for testing. Across the room sat a bank of computers that looked like a spaceship command center. 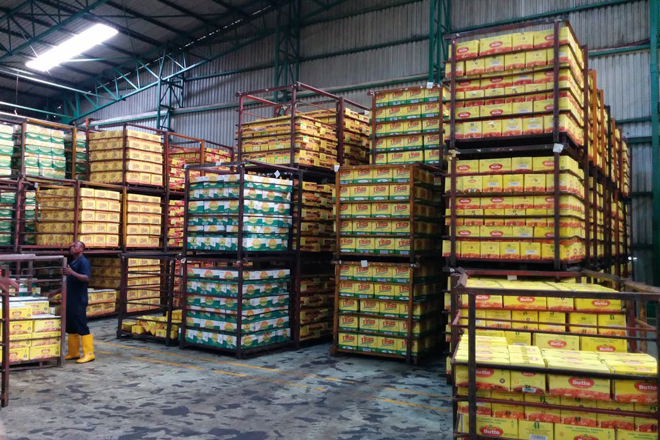 This was a welcome sight, since that level of efficiency is necessary to process the huge volumes of BIDCO’s food products. 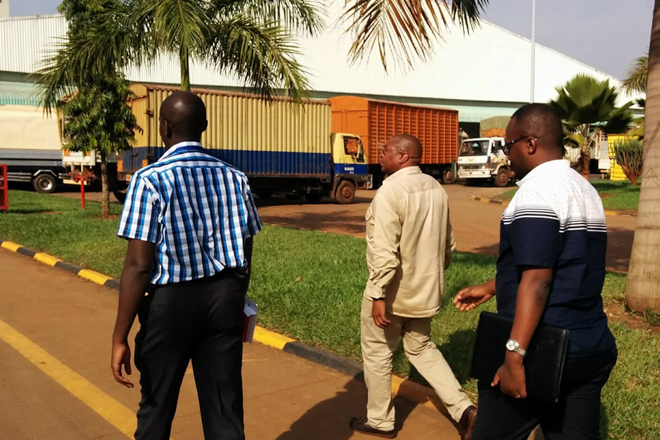 If fortificant levels do not meet Uganda’s mandatory standards, the batch will need to be scrapped, costing BIDCO time and money and reducing the amount of fortified food products entering the market and providing nourishment. 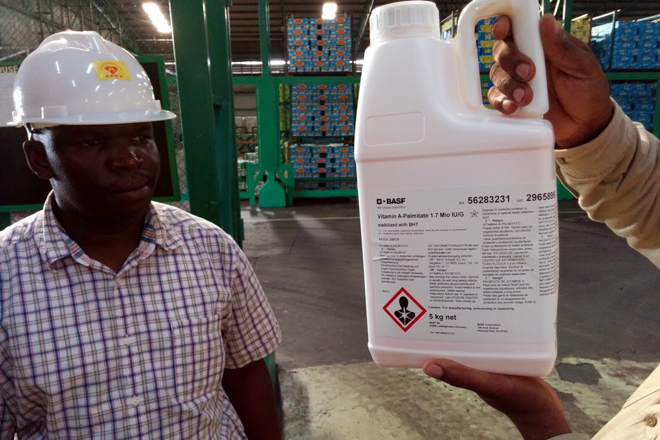 Improving standards in this area helps achieve the Government of Uganda, SPRING, and BIDCO’s interests in improving health, while also providing incentives to BIDCO through reduced waste and accelerated outputs. As we left the room, Levi pointed through the windows to fresh earth adjacent to the building. 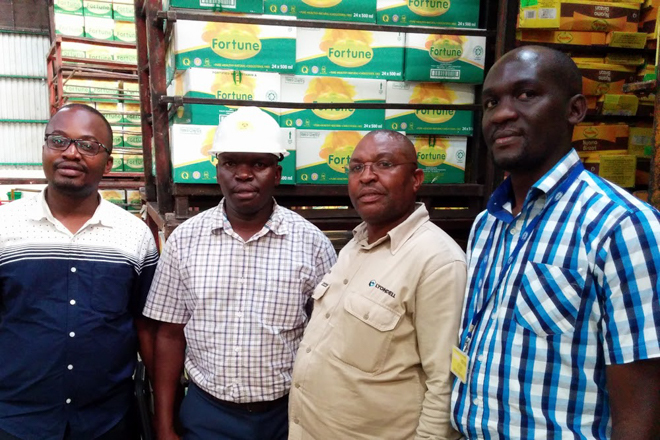 It was the foundation for a new plant, one that would allow BIDCO to double its output. 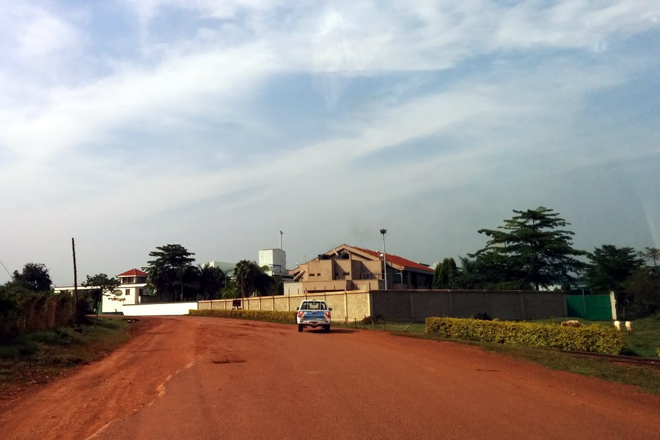 Leaving the facility in a car rolling gingerly over dusty roads, I pictured trucks full of fortified foods radiating out, multiplying until they reached every house in the city of Jinja, then every house in Uganda and East Africa. 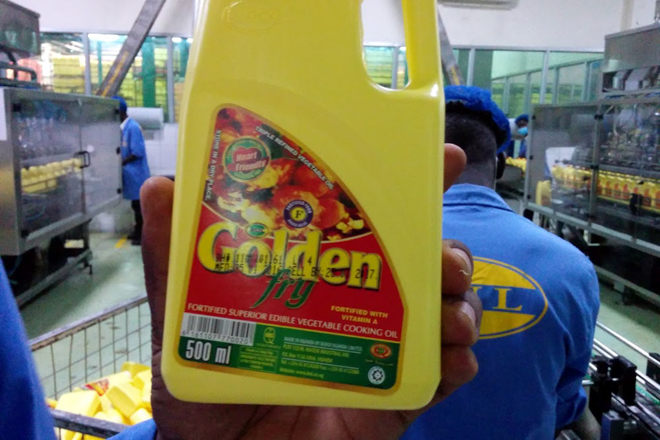 Tablespoons of fortified oil may be a small investment in the nutrition of individuals, but it can add up to a significant improvement in the health of a country. 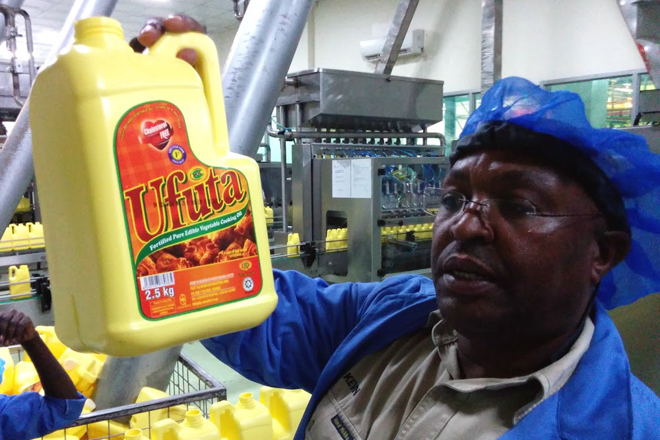 Levi displays the fortificant added to the fats and oils.